When I was growing up, I had the privilege of attending the Johnny Academy. This was not your typical school or institution. This was a valuable one-on-one learning experience with none another than my big brother Jonathan (hence the “Johnny” Academy). He was 13 years old and I was 7 when we first started. It was during the school holidays and he was developing an interest in teaching so here I was, his guinea pig student. 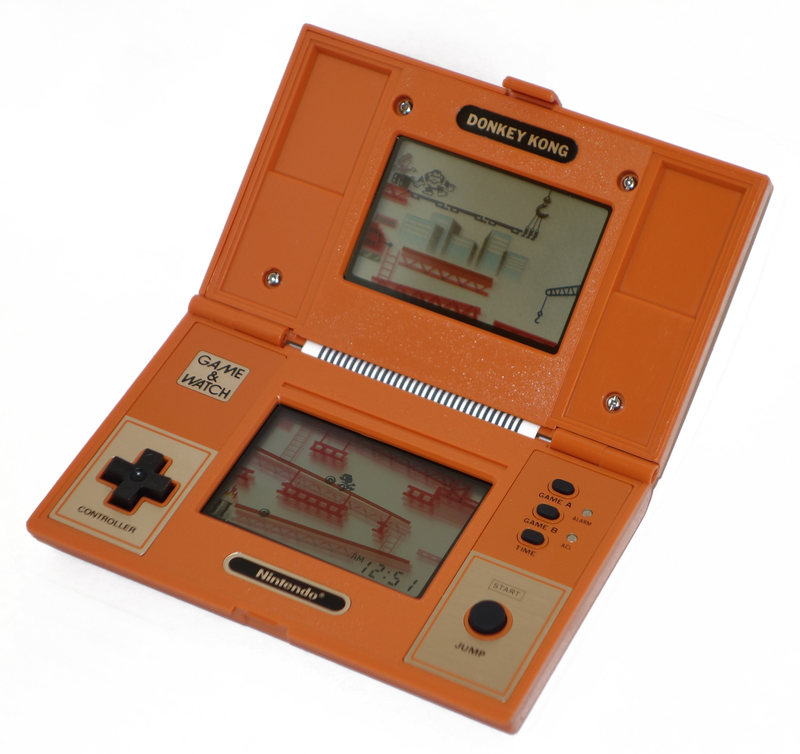 The Nintendo Donkey Kong I used to play during “class breaks”. Image courtesy of wikipedia. It started off with English lessons where we went through grammar and vocabulary. Then we dived into French conjugation and Math multiplication tables. The next thing I knew, he was announcing that there would be a final exam complete with report card! During the breaks between ‘classes’, he allowed me to indulge in 3 or 4 games of Donkey Kong as a reward for being focused in class. He also promised me a big bar of Cadbury’s chocolate if I finished the entire Famous Five series of books by Enid Blyton. 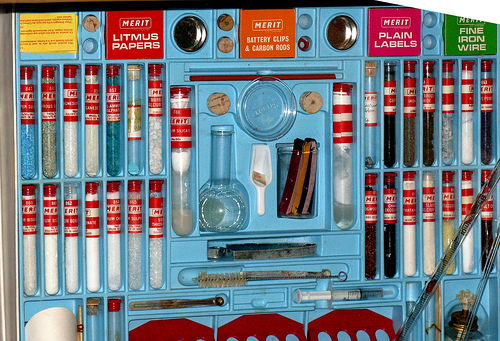 During other classes, we had “laboratory” sessions where we dived into chemistry experiments using the best chemistry set I had ever seen that had been given to us as a Christmas present. My eyes opened wide at all the unique powders in the set. I’m not sure they make them like that anymore. It had the potential to blow things up! The most fascinating experiment my brother ever showed me was the principal of a burning flame using up oxygen. It was a simple apparatus. A lit candle placed under a glass dome inside a basin of water. As the candle used up oxygen, the volume of air inside the dome decreased and the water from the basin rose up inside the glass dome to replace the space previously occupied by the oxygen. It seemed so magical to me, as if the water had a life of its own! There was no end to the variety of lessons and experiments my brother showed me. I remember deciphering secret messages that had been written in lemon juice by gently heating under the paper, making the letters darken and become visible to the naked eye. So simple, yet so fascinating! We had a very basic microscope that we used to view random samples from the backyard. Our house was filled with all kinds of books, my favorite series being “Tell me why”. My brother also entertained me by performing magic tricks and card tricks. 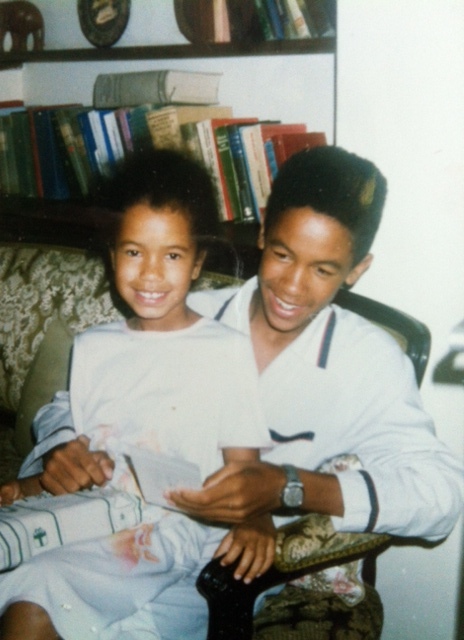 He encouraged me to be active by taking me out to play tennis, soccer and badminton. He sometimes pretended to let me win! 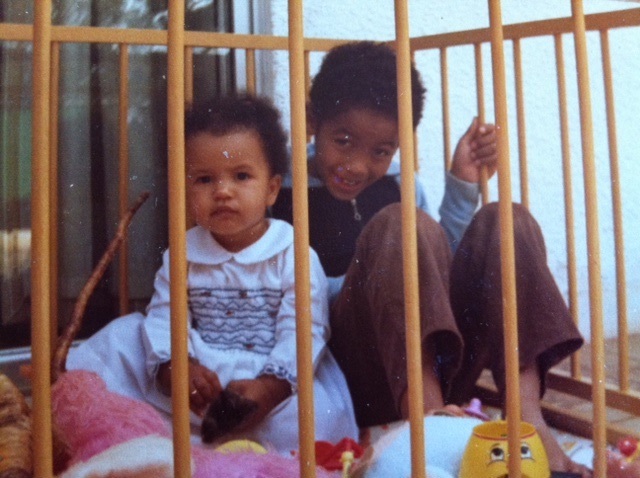 My brother has been my mentor from a young age. His passion for teaching and his concern for me developed my fascination for science, reading and learning. I love to find out how things work and to this day we still have nerdy conversations. As a former Theater professor who has just finished his fourth year of medical school in the States, he continues to encourage me and mentor me as I embark on my journey to medical school. His drive to succeed motivates me and shows me that if he can do it, I can do it too. Mentorship is a beautiful thing. 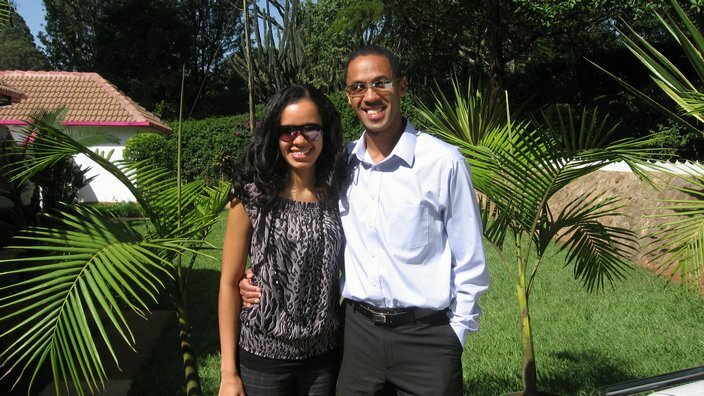 It draws on one’s experiences to help another person learn and overcome similar hurdles. It says to another “Here I am to help you get through this, to figure it out and to help you succeed!”. As I write this post, I hear grunts, giggles and thumping sounds as my son Caleb and my husband roll around in the basement. Every so often, I hear “I’m ready to begin the battle” and “fight!“. In getting caught up in the day-to-day mounds of laundry, dishes, cooking and cleaning, I sometimes forget how blessed I am to have two little children and how the joyous sounds of their voices and laughter brighten up our home. Celebration time! Caleb just turned 4 years old! He was thrilled to receive his first bike. The past few days have been a grand celebration of Caleb’s fourth birthday. It seems like just yesterday he was born. Now he’s growing up into a funny, loving, curious and energetic boy and I love watching him experience the world through the eyes of a child. 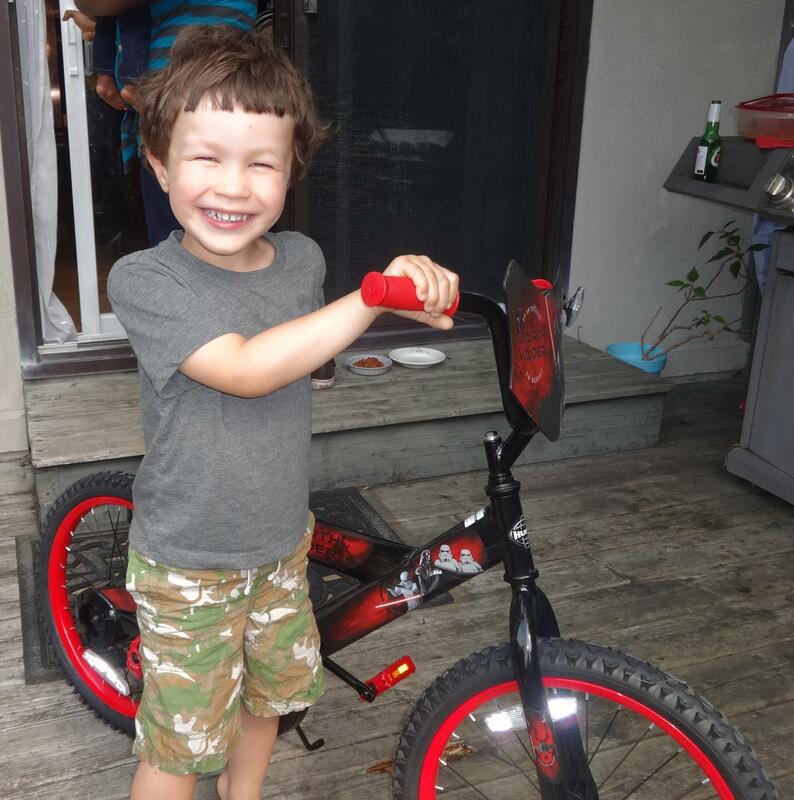 His birthday present was his first ever bike and as he donned his helmet and teetered precariously on it, I felt a little tug in my heart. I remember when I was riding my first bike and my older brothers were guiding me through the long grass of our backyard. Now it was our turn to guide our little boy and let him figure out how to maneuver his way around. One of my oldest friends visited this weekend from the States to celebrate Caleb’s birthday with us. It amazes me that as children, we used to race around our local neighborhood on our BMX bikes wearing mini-skirts. Now here we are as adults and my friend is an adopted “auntie” to my children. It reminded me that close friendships are a beautiful thing and something that must be worked on and held on to. We took a trip to downtown Montréal, about 45 minutes from our house, something we haven’t done in months. As we walked along the famed cobblestone streets of the Old Port, I noticed a newly married couple holding hands. The bride’s shimmering white dress flowed behind her and her husband pulled her along gently. Strangers, tourists and families milled around them oblivious, yet here was a new couple at the very start of their lives together. I had a quick flashback to my wedding day and it brought a smile to my face. Caleb’s first experience of poutine at Frite Alors! in downtown Montréal. 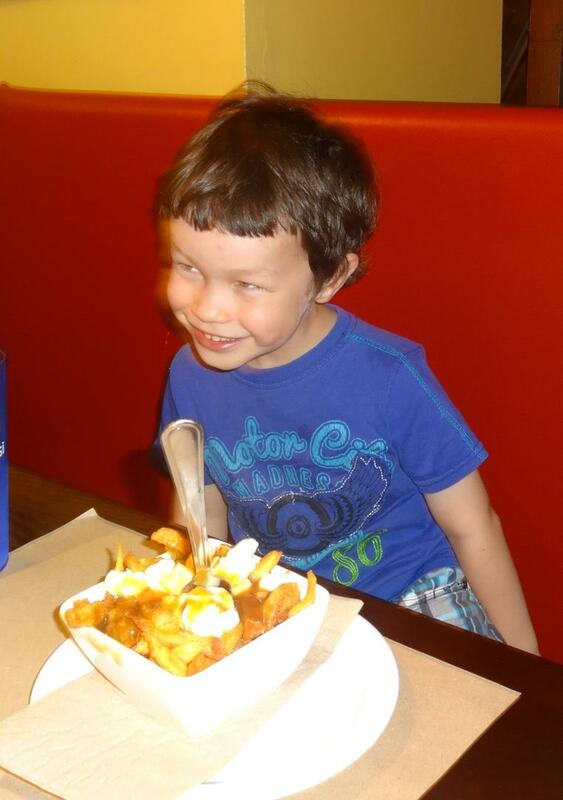 My husband decided it was time to initiate Caleb into some Quebecois culture and so Caleb had his very first poutine (a dish of fries drenched in gravy and cheese-curds). It’s not the healthiest meal in the world but something you must experience at least once if you live in or visit Quebec. As we partook of our poutines at a restaurant called “Frite Alors!”, I was again thrown back in time. This restaurant used to be a cafe called “L’etranger” and my husband and I spent a lot of our time here during our dating days, sipping on hot chocolate topped with whipped cream and chocolate sprinkles. The decor was still the same with its faded red booths and plain square tables. An old piano sat on a raised platform waiting for some warm, pliant fingers to run along its keys. There was something very special about bringing our children to a place where my husband and I had spent our first dates, getting to know each other and growing our love for each other. This weekend was a beautiful one of celebration, friendship and a walk down memory lane. So simple, yet so wonderful and a reminder of the many blessings I have to be grateful for. Celebrating friendship: My oldest friend! 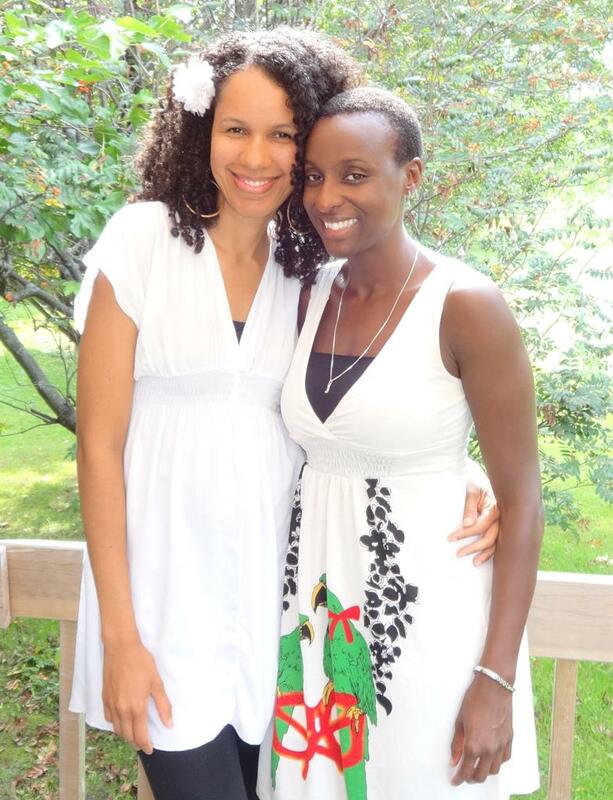 We’ve known each other since we were 6 years old and grew up together in Kenya. Life is Fun When You’re Jumping on the Bed! Remember what it was like to be a kid? My childhood memories consist of hopscotch, playing with marbles, stirring mud, bringing home caterpillars, frogs and lost puppies, being tackled by my brothers onto the grass, playing Mortal Kombat and Street Fighter video games, reading Enid Blyton’s ‘Famous Five’, terrorizing the neighborhood boys while racing around on my pink BMX bike, among many other wonderful memories of my time with friends and family. Today’s post is just a little reminder that when life gets too serious, it can help to remember the simple fun of a child!